Check the available periods on our online calendar immediately! 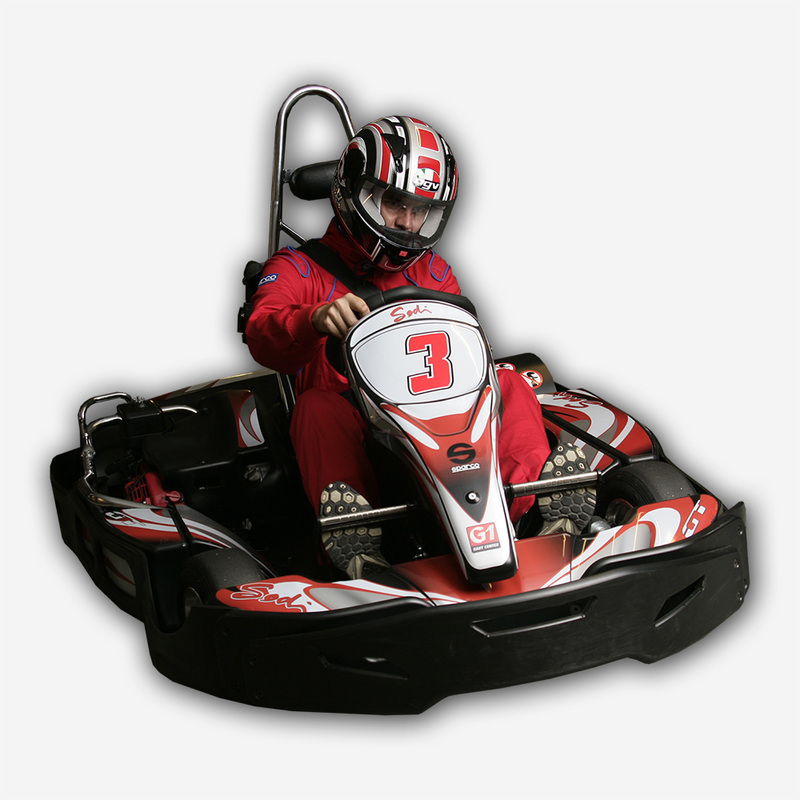 The G1 Gokart Center welcomes every guest with great facilities and comfort to have fun in exclusive interior. We give the opportunity for a quality karting where participants can spend their free time between two races in a pleasant high-tech place. Our new registration system is very easy-to-use. Racers, who have never been to G1 Gokart Center yet can register very quickly on our modern touch screens. Now we have the ability to connect facebook accounts to our karting accounts, so karting is not only a local experience anymore but an online one. We have clearly visible LED monitors in several points of the center, so you can see the progress of the running race and the results of the previuous races wherever you are. Based on the features and the large capacity the complex is an excellent location for closed business or non-business events, bachelor partys, birthday partys or any kind of individually optimized events. Beginning from July 15, 2018 G1 Gokart center is operating in Asia Center. In the following weeks ASIA Gokart Center will go through a renewal that is expected to be finished until September 1, 2018. However as all the work is done outside of the opening hours we welcome our guests during this period as well. As part of the reneweal we will return to petrol powered carts. 14 Sodi 270 carts with Honda gear will wait for the adrenaline hunters to enjoy the ride. 10 carts will be able to be in the race at the same time. The design of G1 Gokart Center makes it possible to organize both small and larg-scale events. For smaller events G1 gives an intimate friendly atmosphere, and in case of large-scale events the Center can be easily devided into two parts - the lounge and the waiting hall - and because of the spaciousness it has the ability to make presentations or conferences. Become our club member and thereby gain discounts, participate in promotions! Had enough of everyday life? Want to get out and have an exciting and unforgettable experience? Come to us and be the part of an adrenalin-rich adventure! If you want to get a really unforgettable surprise for any of your loved ones we offer you our gift vouchers. I want to get a cool gift for someone!